Over half a century since the original production, the Fugard Theatre’s forthcoming, brand new production of the legendary South African musical - King Kong - is fully cast and rehearsals commence on Monday 12 June. 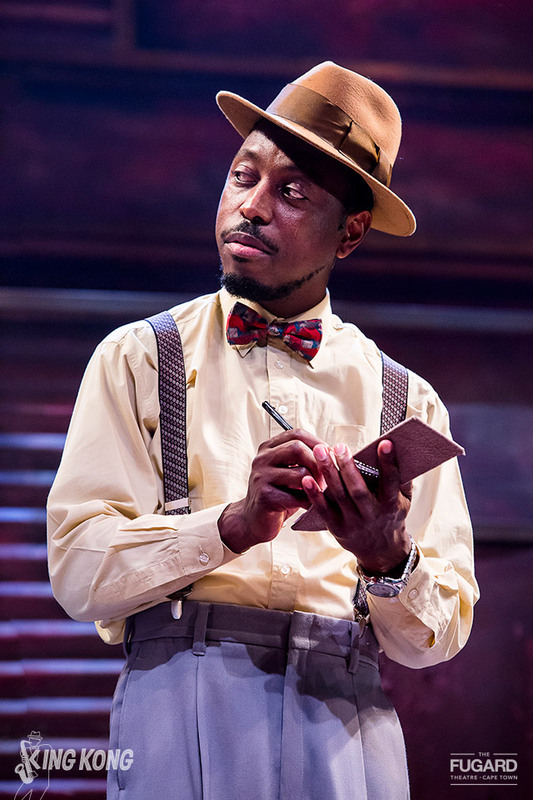 Eric Abraham produces and presents this Fugard Theatre production, which runs from 25 July to 2 September 2017 at the Fugard Theatre in Cape Town and then at the Mandela Theatre in Johannesburg from 12 September to 8 October 2017. 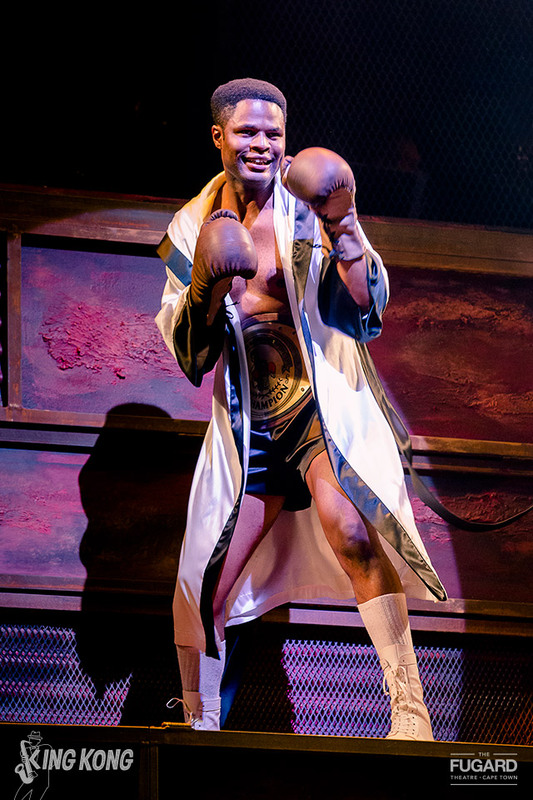 King Kong – The Musical tells the story of heavyweight fifties boxing champion Ezekiel Dlamini whose self-appointed ring name was "King Kong" to the wildly exhilarating music of Todd Matshikiza. 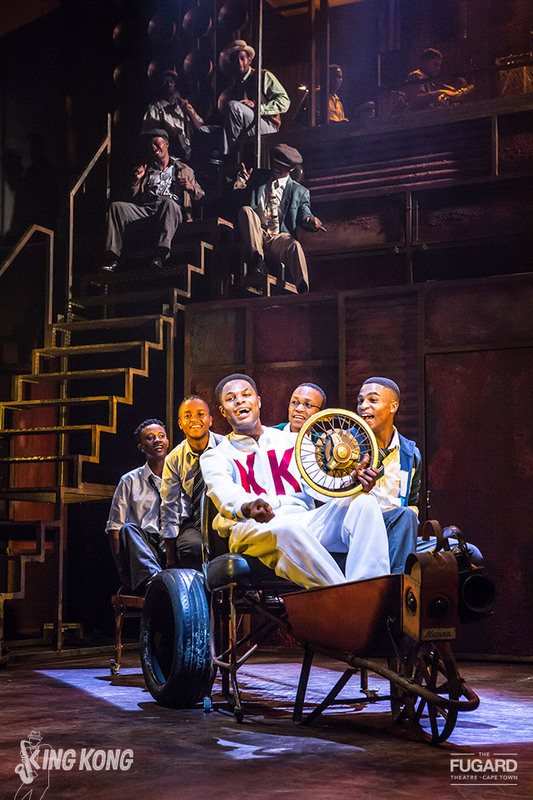 The 1959 production of South Africa's first black musical was set in Sophiatown in Johannesburg in the late-fifties. 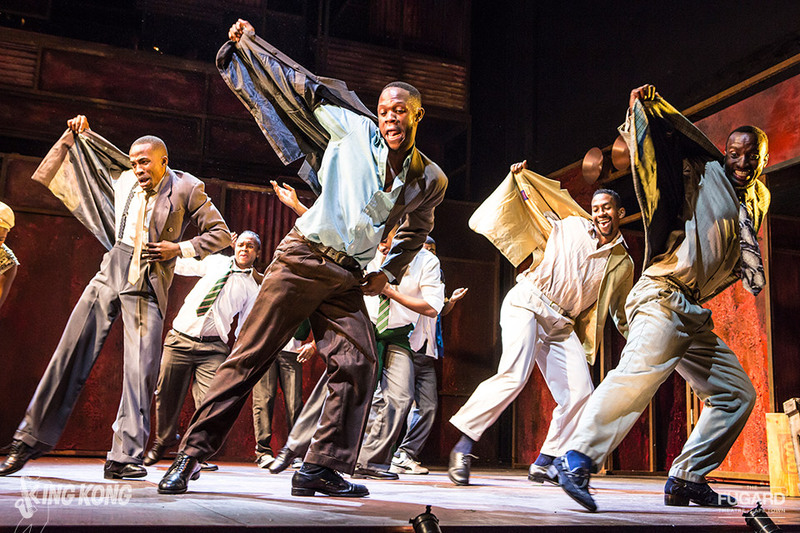 King Kong toured South Africa, and was seen by 200,000 South Africans, playing to record-breaking and multi-racial audiences - as apartheid was being implemented -before transferring in February 1961 to London’s West End for a 200-performance run. King Kong launched the international careers of Miriam Makeba and Hugh Masekela among many others. 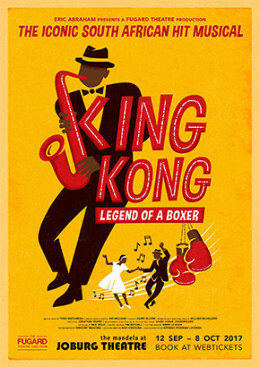 “We are thrilled that this long awaited production of this iconic and first South African musical of King Kong, is a Fugard Theatre production which will showcase the very best of South African talent,” says Daniel Galloway the Executive Director of the Fugard Theatre. “The original production united audiences of all colours, launched careers and put South African talent firmly on the international map. We are excited to be re-creating the world of the "Back of the Moon" shebeen with an all South African cast and superb creative team. While remaining true to the original production our Fugard Theatre King Kong will refresh the musical for the 21st Century". 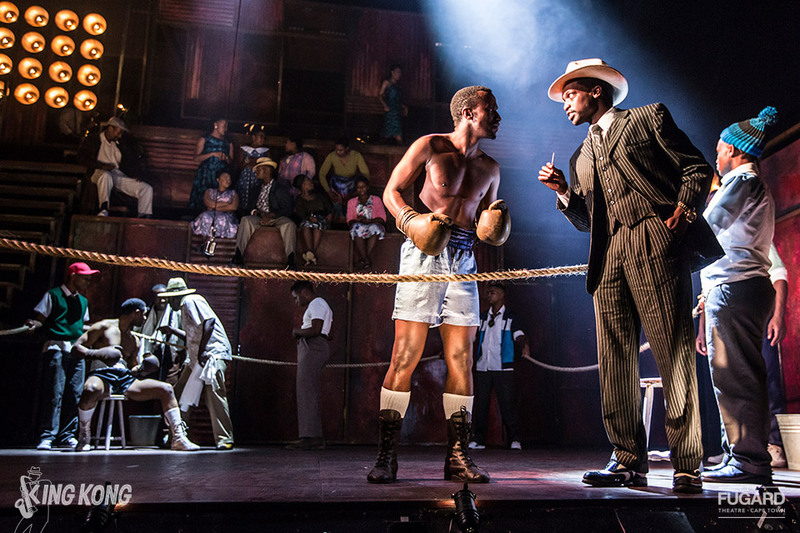 The Fugard Theatre’s King Kong is directed by Jonathan Munby who directed the Fugard Theatre's production of A Human Being Died That Night with Noma Dumezweni (the only double Olivier award-winning Southern African actor) amongst many other international productions. Following King Kong Munby directs Sir Ian McKellen in Shakespeare's King Lear for the Chichester Festival in the UK. The revised book (with additional lyrics) is by Academy award nominated screenwriter and playwright William Nicholson (Shadowlands, Gladiator, Les Miserables, Sarafina, Long Walk to Freedom). South African choreographer star and recent French Legion D’Honneur recipient Gregory Maqoma will choreograph King Kong to the irresistible original music of the late great South African composer Todd Matshikiza. 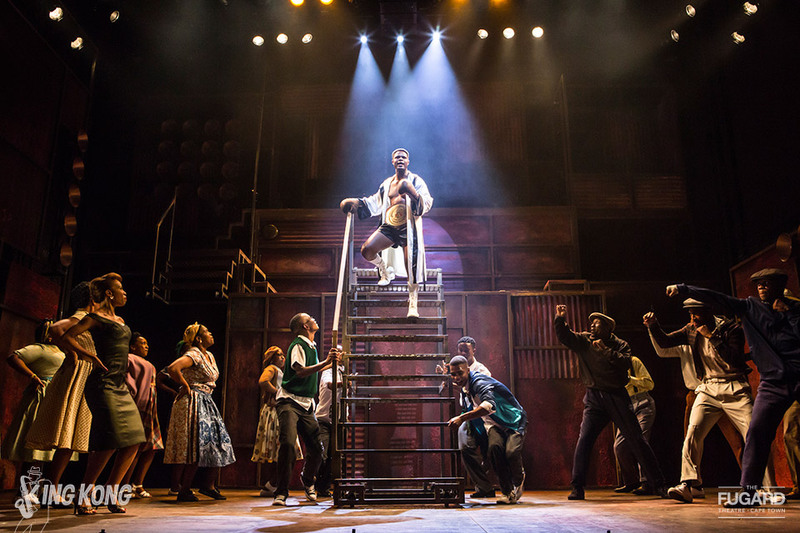 The Fugard Theatre’s production sees musical direction by Charl-Johan Lingenfelder (West Side Story, Funny Girl, Cabaret) and Sipumzo Lucwaba with arrangements and additional music by Charl-Johan Lingenfelder. 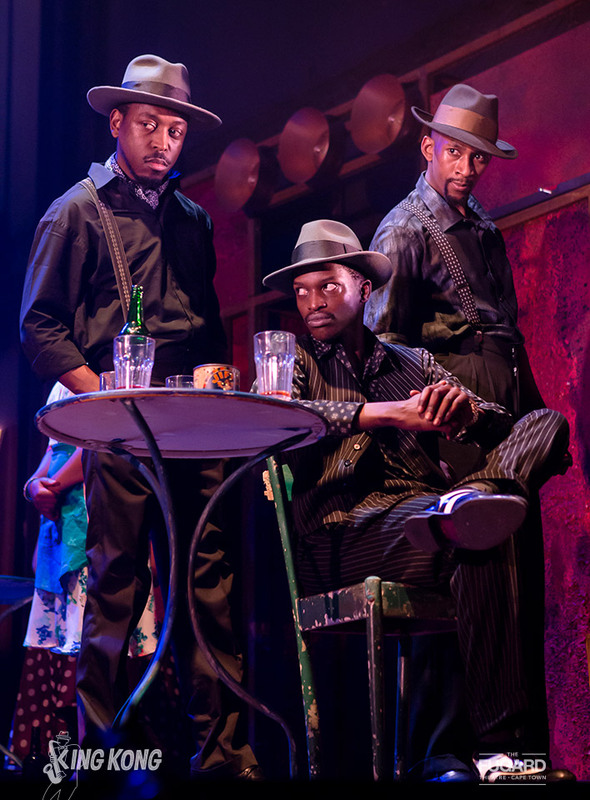 Set design is by Paul Wills (A Human Being Died that Night, Royal Shakespeare Company's Hamlet, West End - Wyndham's Theatre - David Mamet's American Buffalo); Costume design by Birrie le Roux (West Side Story, Orpheus in Africa, District Six: Kanala); Lighting Design by Tim Mitchell (A Human Being Died That Night; Royal Shakespeare Company's King Lear with Antony Sher - Associate artist RSC/Chichester Festival Theatre) and Sound Design by Mark Malherbe (West Side Story, Funny Girl). The associate director is Mdu Kweyama. Cast in the title role of King Kong is South African star - actor, singer and dancer Andile Gumbi. 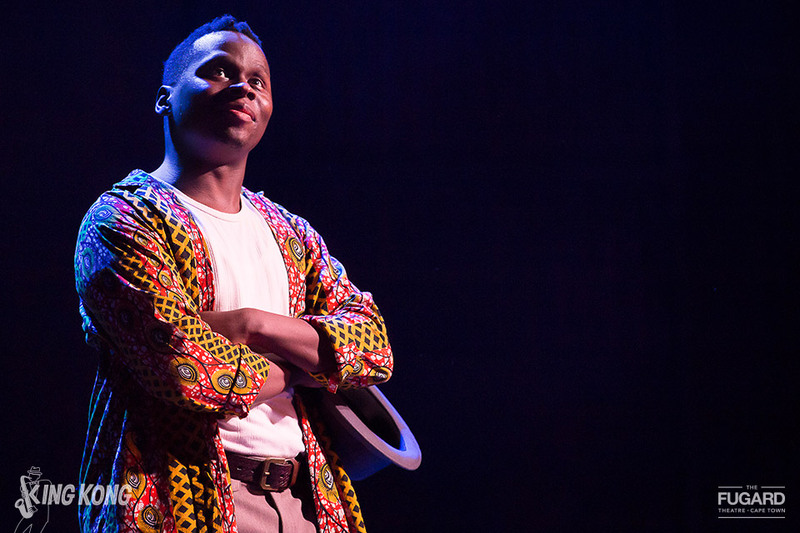 Gumbi made his Broadway debut as Simba in Disney’s The Lion King and has starred in productions of this musical in London, Sydney, Melbourne, Shanghai and South Africa. Gumbi, who was voted by The Sowetan as one of Mzansi's Sexiest Top 12 celebs in 2015, is the character Zweli in the Mzansi Magic soap opera isiBaya, which was voted most popular TV soap at the 2017 SAFTA Awards. 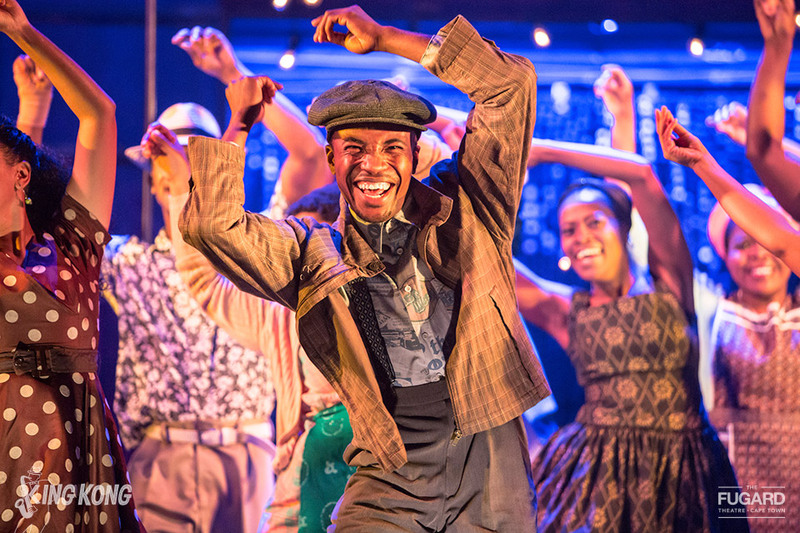 Multiple award-winning actress and singer-songwriter Nondumiso Tembe will be recreating the role of Joyce, which propelled Miriam Makeba to international fame in the original production of King Kong. Tembe's extensive list of credits include HBO’s Golden Globe and Emmy-award winning True Blood, SABC’s Generations, the military drama SIX on the History Channel and Zulu Wedding opposite Darrin Dewitt Henson. She won the Best Actress in a Supporting Role Naledi Theatre Award in 2014 for her portrayal of Susan in David Mamet’s RACE, which toured South Africa, and to the Edinburgh Festival. Her debut album Izwi Lami - My Voice received much acclaim including a Metro FM Music Award for Best Music Video. 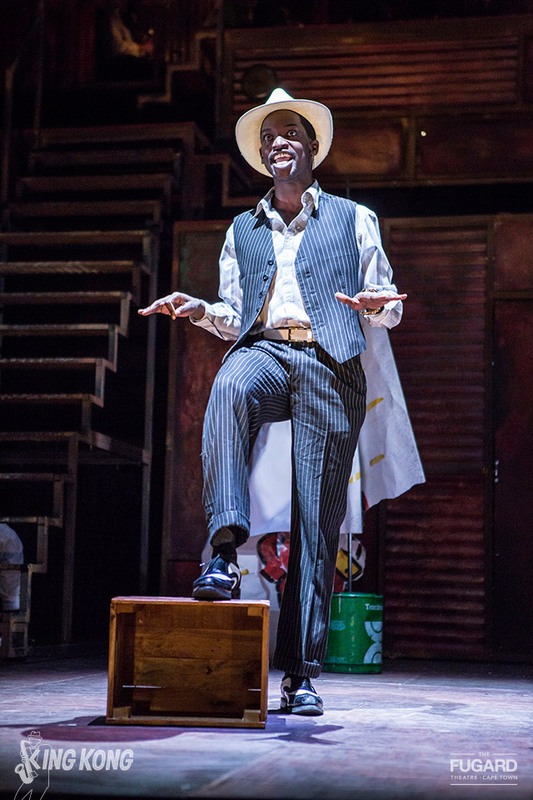 The Fugard Theatre's King Kong cast includes: Sanda Shandu as Lucky(Orpheus in Africa); Tshamano Sebe as Jack (Athol Fugard's Painted Rocks at Revolver Creek; Master Harold and the Boys; Noem my Skollie); Ntambo Rapatla as Miriam (Menopause the Musical); Sne Dladla as Pop (District Six: Kanala; Orpheus in Africa; Painted Rocks at Revolver Creek); Lerato Mvelase as Petal (Isibaya; Play Me) and Sabelo Radebe as Caswell (West Side Story; Peter Pan) . Also performing with the ensemble are Joel Zuma (Sophiatown; Kwela Bafana - The Musical); Ben Kgosimore (The Adventures of Oliver Twist; 'I, Oedipus'; Singular Sensation); Athenkozi Mfamela (In The City of Paradise; Bash or Be Bashed); Shalom Zamisa (Voices of Hope; Sarafina); Sibusiso Mxosana (West Side Story; Funny Girl; A Spartacus of Africa); Aphiwe Menziwa (Passage; Inexba Lomphillisi); Namisa Mdlalose (Rent); Siphiwe Nkabinde (Exit/Exist; Music in the Air); Lungelwa Mdekazi (African Angels; Phantom of the Opera); Dolly Louw (Peter Pan; The Boys in the Photograph); Barileng Malibye (Sophiatown; Making Mandela; Dogma; Emotional Creature); Edith Plaatjies (District Six: Kanala; Orpheus in Africa; Blood Brothers); Rushney Ferguson (District Six: Kanala) and Given Mkhize (Sacredspace; In The End is My Beginning). A live 9-piece band, under the direction of Sipumzo Lucwaba, will accompany the action at every performance. Born in Vryheid in the then Orange Free State, Ezekiel Dlamini himself became and unwitting symbol for freedom and the wasted power of his people under apartheid. 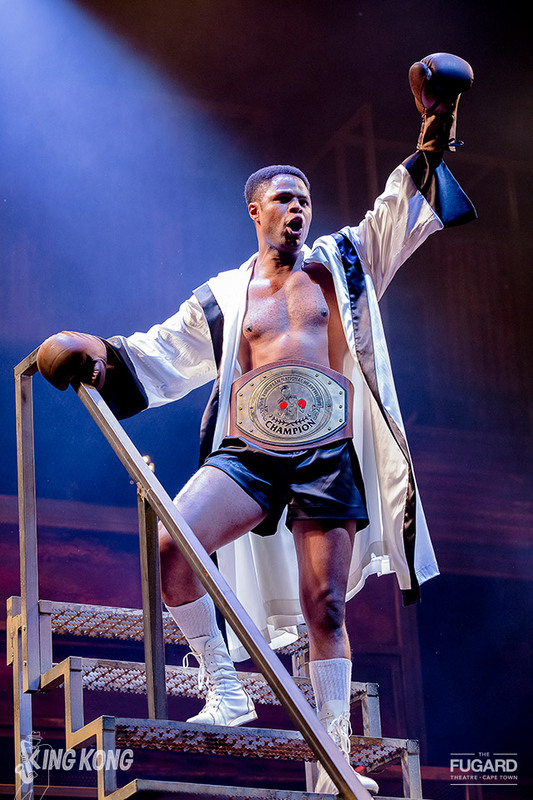 After a meteoric boxing rise Dlamini's life degenerated into drunkenness and gang violence. In 1957Dlamini was to be a classic Greek tragic figure when, in a fit of jealousy, he killed his girlfriend and at his trial asked for the death sentence to serve as a warning to others. Instead, the white judge, refusing to take instruction from a black defendant, sentenced Dlamini to twelve years hard labour. Three months later King Kong was found drowned in a dam on a prison farm. At 36 years old King Kong had taken his destiny into his own hands and, inadvertently, become a legend. The original production featured music by Todd Matshikiza, lyrics and original book by Pat Williams and book by Harry Bloom. Songs such as Back of the Moon, King Kong and Sad Times, Bad Times, have become popular South African favourites and are firmly entrenched in this country’s musical history. Sales of the original recording achieved unprecedented numbers, with reviews such as “This for my money is the record of the year” (Rand Daily Mail) and ‘Five stars!” (Drum). The cast recording was the first release of an all black production in South Africa and unusual in that the libretti was included with the LP, which normally only happens with opera recordings.Arthur Goldreich designed the sets for the original production with original musical direction by Stanley Glasser. The UK's Portobello Books publishes King Kong lyricist and original book writer Pat Williams' personal memoir of the original musical – Our Knot of Time and Music – to coincide with the Fugard's production. 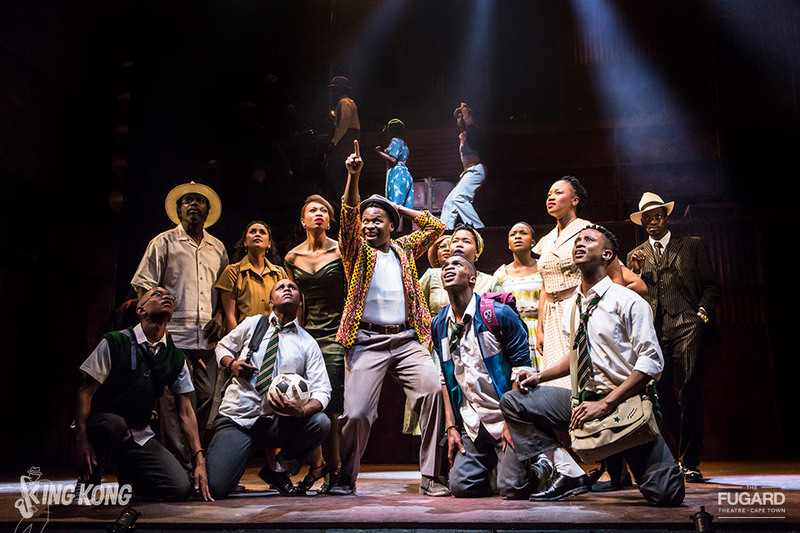 "An extraordinary memoir of the first ever South African musical, which has since acquired mythical proportions. Essential reading for anyone who loves our country - and, of course, its music” Athol Fugard. The book will be available at the Fugard during the run of the show. King Kong will run at the Fugard Theatre from 25 July until 2 September 2017 before transferring to the Mandela Theatre in Johannesburg from 12 September until 8 October 2017.